SuperHosting.BG entered into a partnership with Google Inc. on October 1st, 2008, within which our customers may use Google Ads™ coupon codes (promo codes). Our partnership with Google Inc. continues developing successfully, and our customers will have the opportunity to take advantage of various promotions in the future. As of October 1st, 2012, a new policy for the use of Google Ads™ coupon codes is enforced. Which services will let me have a Google Ads™ promo code? Virtual server (VPS), Cloud services, Dedicated server or Reseller hosting plan, without any limitations as to the period upon a minimum order value of BGN 60.00. Online store with Shopiko (Shopiko Start, Shopiko Business, Shopiko Pro) for period of 3, 6 or 12 months. *Promotional prices for orders of a hosting plan for a period of 12 months or more. All prices are final. Google Ads™ provides an exclusive cost-per-click—CPC opportunity. Using CPC, you pay only for users who have seen and clicked on your ad, and visited your website. With the other types of advertising, for example, with cost per mille—CPM, you may pay without your advertising being noticed at all. With Google Ads you only pay when your ad is noticed. When you advertise with Google Ads™, you select the persons who you want to see your ad based on selected keywords. In this way you can be sure that your advertising message will only be shown to audience that's interested in the products or services you offer. This is necessary for increasing the effectiveness of advertising. Advertising with Google is not considered common advertising. Your messages will appear only based on selected criteria, (i.e., potential customers will see your offered products or services when they really need them). Users consider this a useful form of advertising, and they do not mind seeing other offers corresponding to their search specifications. In most cases, the customer is even happy with the opportunity of choice. Advertising on Google Ads allows you to show ads to people who have visited your website and remind them the product or service offer through different message calling for specific action. So your customers will see your relevant ads as they browse the web, use mobile apps or search on Google. To take advantage of the coupon code, please click on the 'Other actions' -> ‘Apply a promotional code' button and enter the code. The coupon code may be activated only for new Google Ads™profiles. The code may be activated within 14 days of creating the account in Google Ads™. The date when you receive the code, or on which the hosting account is activated/expires is irrelevant. You can take advantage of the promotional offer for a single profile in Google Ads™ only once. You can receive only one promotional code for one hosting service. 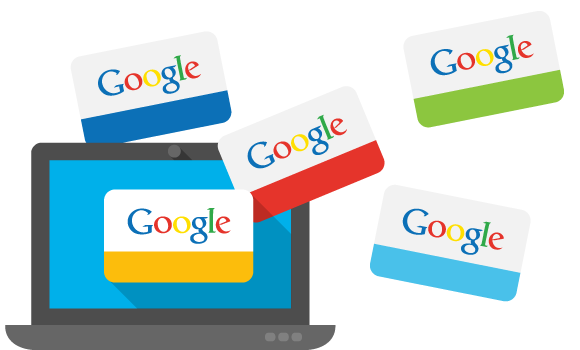 If you create your Google Ads™ account in a different currency from the one in which your promotional credit is, the actual amount of the promotional credit may be subject to currency fluctuations. Advertisers will be charged for all advertising that exceeds the promotional credit Advertisers can suspend their ads anytime before the promotional credit amount is exhausted if they do not wish to receive additional advertising charges. Google will not notify you once the promotional credit has been exhausted. Offer subject to ad approval, valid registration, and acceptance of the Google Ads™ Program standard terms and conditions. To qualify for a coupon code you must accrue advertising charges in the amount of BGN 30 within 31 days of entering your promotional code. Your account must be successfully billed by Ads and remain in good standing in order to qualify for the promotional credit. The credit will typically be applied within 5 days to the Billing Summary of your account. The offer is available to new Ads customers with a billing address in Bulgaria only. One promotional code per advertiser. How do I receive a Google Ads™ promo code? You will need to enter the coupon code in the online order through our website. This will happen when you reach the 'Other services' step. Immediately after your purchased services are activated, you will receive a promo code for offer activation that will be sent to the email address specified in the order. To register and take advantage of the promotional offer, please visit on Google Ads™ page and follow registration wizard’s instructions. >After you set up your Google Ads™ account and select the preferred payment option, please click on the 'Billing->Payment Preferences' section. The page 'Transaction History' will load. If you fail to state that you would like to take advantage of the promotional offer in the order, you may also make a request immediately after order activation through your customer profile in the Google Ads™ section.